I am not keen and have never been keen on McDonalds Burgers. 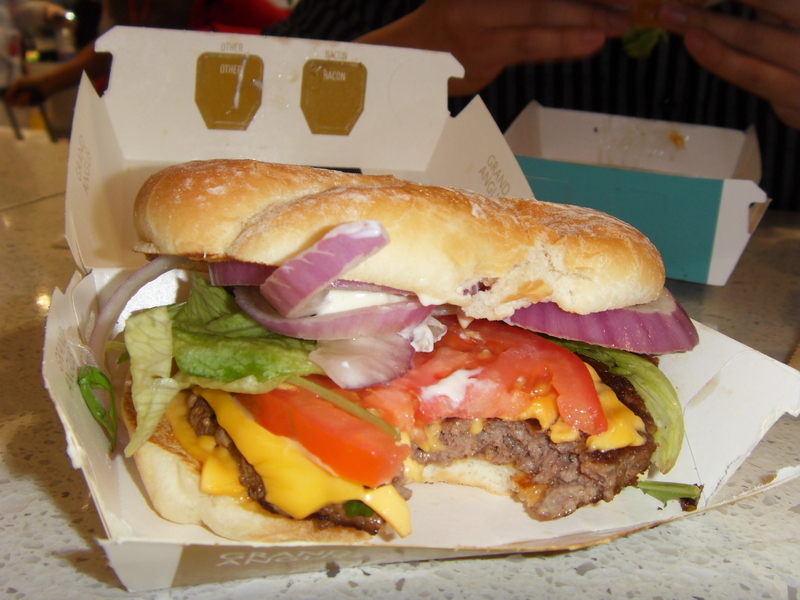 I ate my first Mc Donald’s Burger back in 1983, when Mc Donald’s first opened near my house. It was the cool thing to do and it was a place to be seen amongst the kids in our school. In fact we even used to “study” there, till our headmaster made a scene complete with cane and all. I like Mc Donald’s big breakfast in Australia but not the one sold in Malaysia because it is simply horrible and made with rather poor ingredients. Especially their Sausage Mc Muffin, which I ate 9 years ago and till this day I have never touched the stuff. I must admit though, I do like to go to different countries to see what each Mc Donald’s has to offer and so I made it a point to tell Dan we needed to try Hungry Jacks and Mc Donald’s over in Australia. He did make a face, because Dan is a Gourmand so Mc Donald’s is kind of below him at times. I just ignored it! Now all through I noticed Mc Angus Burgers banners and advertisements and I actually got quite curious about it. 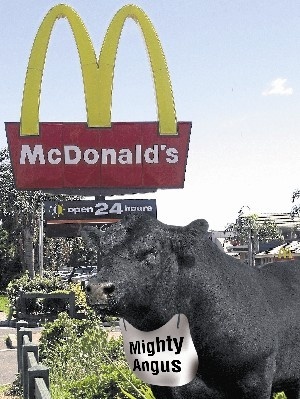 I actually read how since 2009 Mc Angus Burgers has taken the Mc Donald’s burgers to new heights and my friend Cass who is quite snooty where food is concerned actually did mention it a few times more then usual whenever I mentioned about Angus Burgers. So I am sure she has had her fair share of it. So now Dan and I were at Sydney Airport and decided we should try the burger before we left Australia. The pictures looked extremely nice and I know for one Australian Advertisements seldom differ or only lightly vary from the real thing so I took my chance. So here is my burger. The Grand Angus it is called. It had sour dough bread. Now that was rather gourmet I might add, it had two slices of cheese that actually appeared once it was placed on the really yummy juicy Beef Pattie. And to top it off it was not the usual crumpled up iceberg lettuce that’s wet and soggy, no way….. this one had real lettuce and salad stuff, it was gourmet salad mix, the one you buy in the boxes in Cold Storage or Jaya Grocer. Somehow though, I must say I did not get much Gourmet Salad in my burger. It also had thick red onions, a little mustard and a tiny bit of mayonnaise. I do not like the way people here slather mayonnaise like it is a pate of some sort. Just shocking! This one was perfect. but real juicy meat. 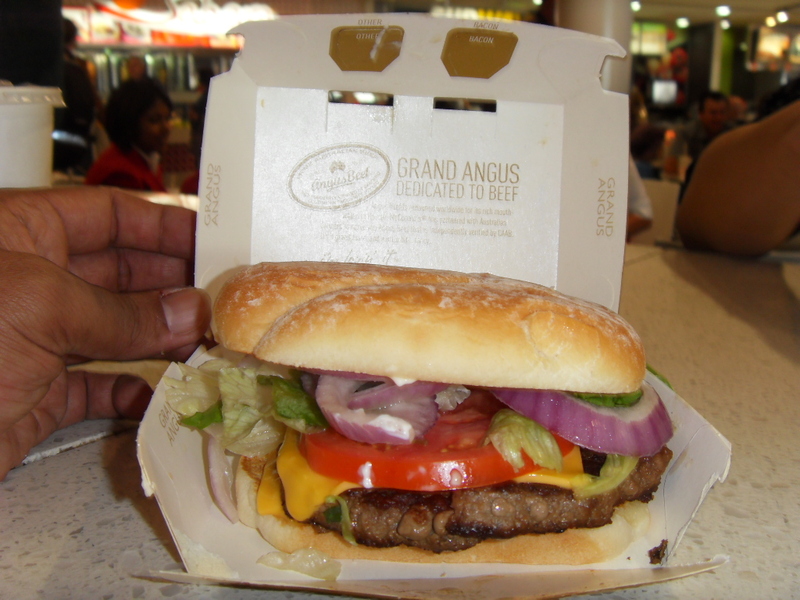 I wonder if Angus Beef will cannibalize the usual McDonalds burgers in the future. Cannibalize is a marketing term when a new product line supposedly of a higher value eventually eats up your segments of the normal products you sell. But if this was the case, it’d be Thumbs Up! So what is an Angus Burger? According to Stock and Land – (farmonline.com), the beef used in the new burgers will be verified as Angus by Certified Australian Angus Beef Pty Ltd (CAAB) based on national vendor declaration forms and backed by independent audits and DNA sampling. It is that serious. To qualify for the program, the beef must come from an animal sired by an Angus bull and be out of either a straight-bred Angus cow or an Angus cross cow. Starting a new line of Gourmet Burgers was capital intensive. New hot plates have had to be installed at McDonald’s stores to handle the bigger Angus burgers, the company’s first new beef product for some years. This meant extra setting up cost, re doing the kitchen, training staff as these burgers were most certainly cooked fresh. All this would have costs Mc Donalds millions as it has almost 800 or more stores in Australia. So for once McDonalds is getting serious about giving us good food. But then this only happens in Australia unfortunately. We’re still going to be stuck with the trash they serve here for a long time, unless our local companies and I must say there are a few that are good beef producers as I have worked with one of two of them do something real soon. My verdict, if they sold Angus Burgers here at McDonald’s, I would be there every other day. An Angus Burger with no mayo and sauce. Have to watch the weight you know. 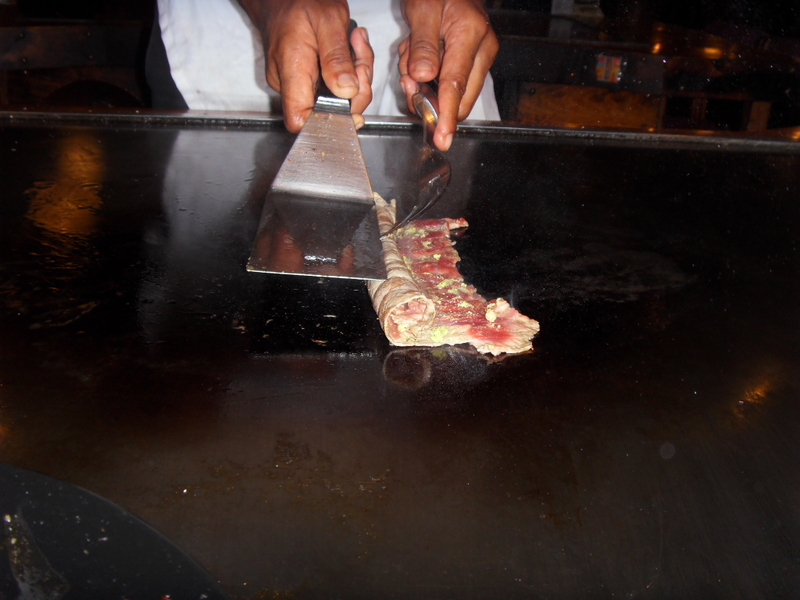 I had this wonderful Beef Roll in Daikoku Japanese Restaurant in Fiji, and although the one they served us was nice I felt it lacked a little something more. So here is my recipe. 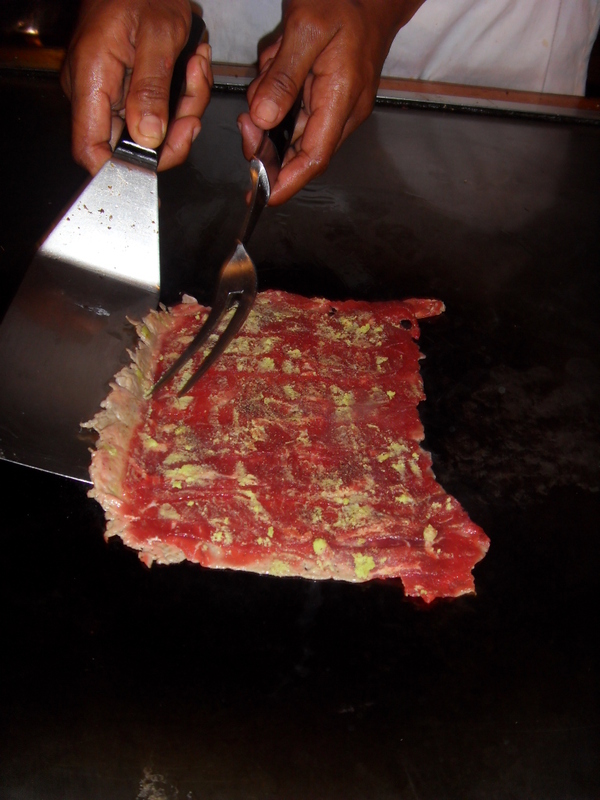 Beef Fillet or Scotch Fillet 500 gms – to be sliced thinly into one big piece. Get the butcher to do this because I know if I had to do it would be minced beef as you need a very sharp knife. Mix the above and spread it over beef just before cooking. 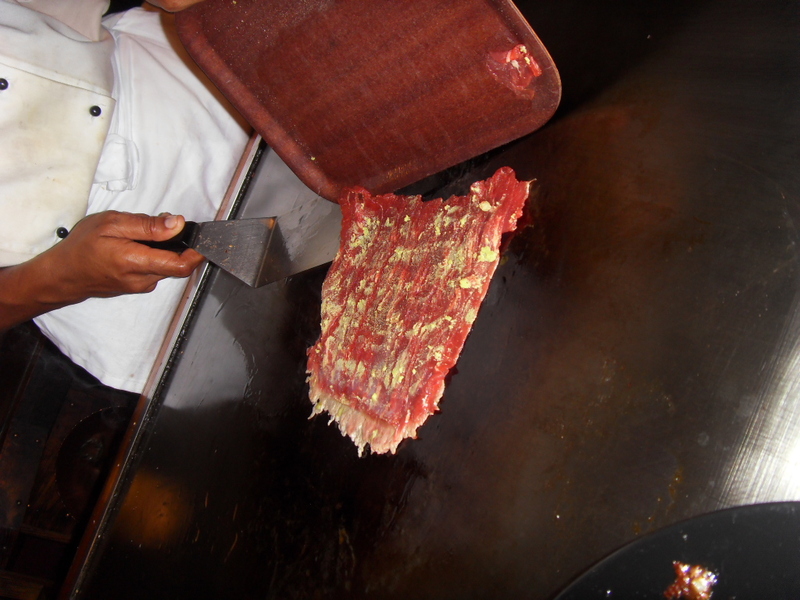 Pour in a little olive oil and gently scrape the meat off the tray onto the pan. 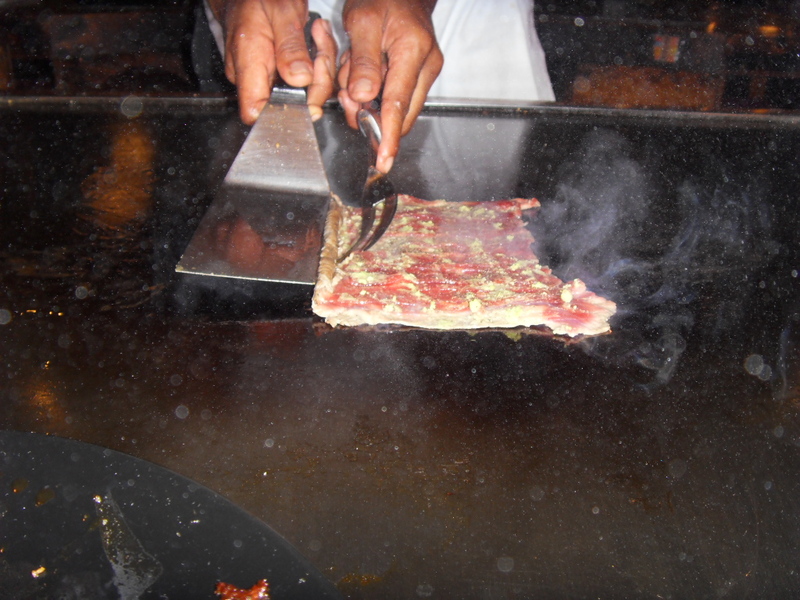 Gently press one side of the meat to make it stick to the pan and then glide the rest of the meat out by slowly pulling away the tray. Hence the importance that the meat is very cold. 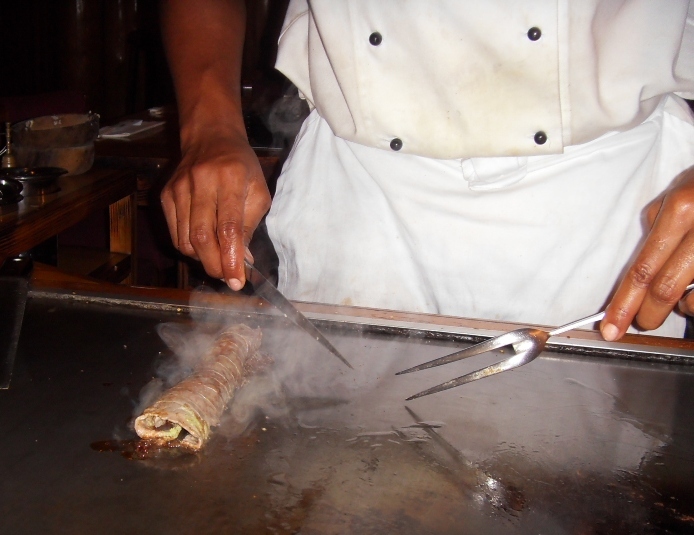 Once the side of the beef starts to cook, start rolling the beef. Do not leave it too long or it will dry out. 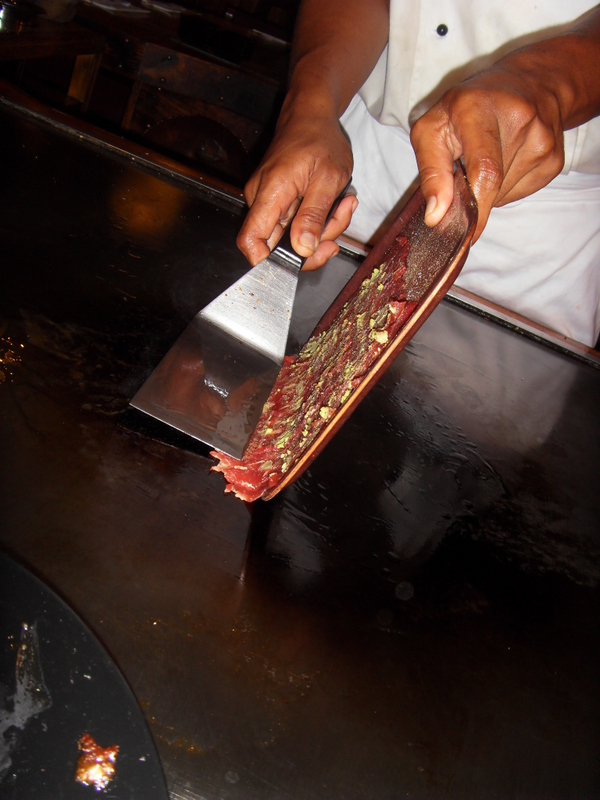 Roll gently and keep the meat tight. Make sure the roll is of equal size to ensure even cooking. 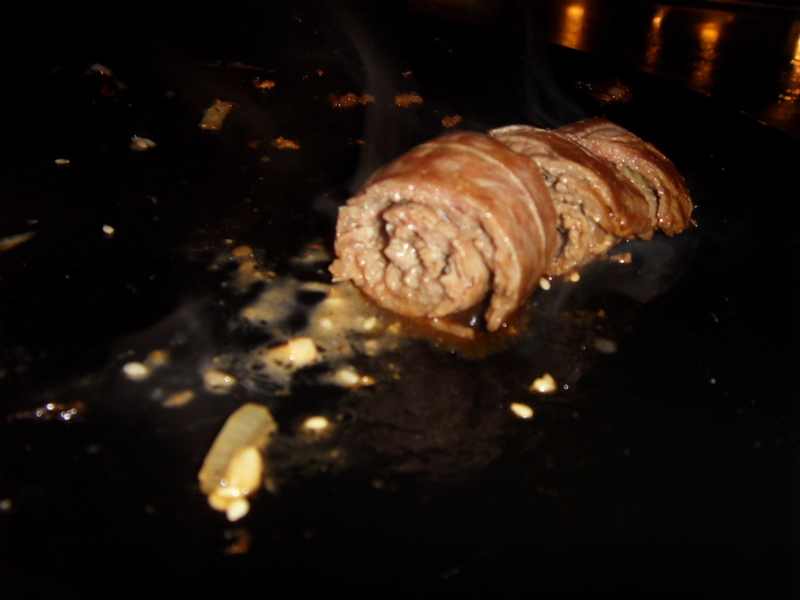 Roll as shown. Leave to cook for a few minutes. Keep turning to ensure equal cooking. Cook depending on how rare you like your beef. Cut it with a sharp knife whilst still in the pan and serve. Serve it with good old Kikkoman Soy Sauce. Eat it while it is hot as it does not taste nice once it is cold. You may add a slice of cheese in the roll to give it that extra flavor. Use a full flavored cheese, I would like to use Camembert or Brie actually.